Auto Billing is a service you can opt into on the settings page. Automating your monthly billing cycle is a huge time-saver and ensures no charges are left behind. Automatic Invoicing: Outstanding charges will be collected into invoices on the 1st of each month. Automatic Invoicing and Emails: Outstanding charges will be collected into invoices on the 1st of each month. 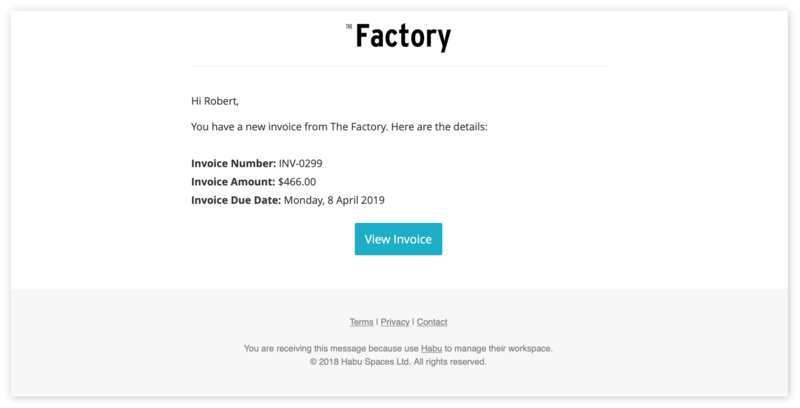 Invoices will be emailed to contacts automatically. Automatic Invoicing, Emails and Payment: Outstanding charges will be collected into invoices on the 1st of each month. Invoices will be emailed to contacts automatically. Money will be taken from members with payment details on the 2nd of each month. When any of the three 'Automatic Invoice' options are activated, on the 1st of every month a single invoice will be created for each contact (that's both contacts and members with active subscriptions) that have any outstanding charges. This happens at 12:00 UTC. The first automatic invoice will contain all previous charges whereas subsequent invoices will contain just the charges from the previous months' activity such as bookings, as well as next month membership fees. Everything is the same as above, expect all contacts with freshly made invoices will be emailed the link to the invoice. These emails are sent out as soon as they are created. When payment has been taken, the invoice is marked as paid. Your members can then use this as a receipt for their records if they screenshot or save it. With this option, invoices are automatically created and emailed to all contacts and members. If you have connected Habu to your Stripe account you can also take payments automatically from members who have active membership subscriptions. Contacts who have an outstanding invoice but do not have an active membership subscription are not part of the monthly payment cycle. To get an in-depth understanding of auto-payments you can read more here. Later in 2019 we'll be upgrading our Xero integration as well as add 15+ more integrations with other leading accounting platforms. 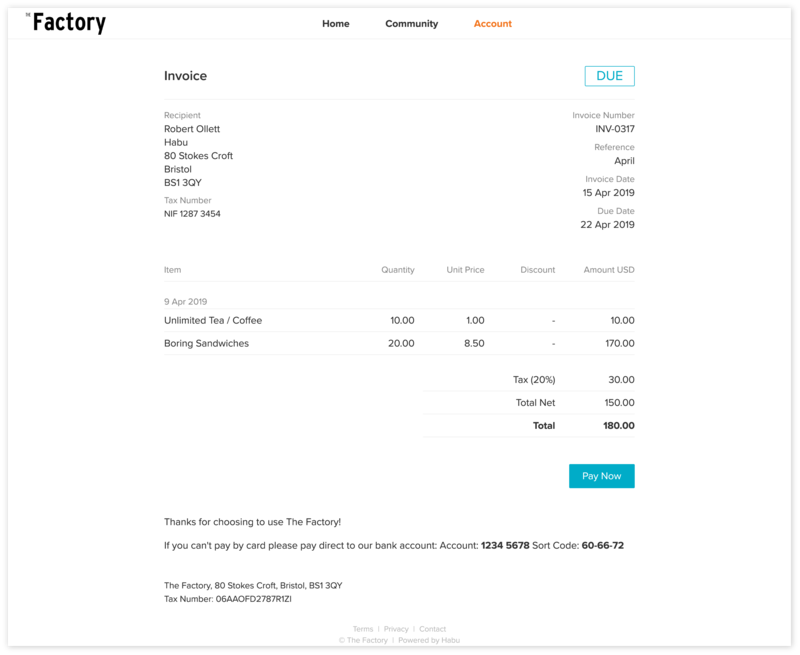 This upgrade will synch Habu invoices with Xero automatically. Until then you will need to send & synchronize each one.